ويدفع مقابل ال 1000 مشاهدة 3 دولار تستطيع الحصول عليها من باى بال..
We will make payment for publishers on monday, 17 August, 2015. First of all, I want to send my sincere thanks to all publishers using our services. We also want to send all my deep gratitude first 100 publishers reaching $3/ 1000 impressions for pop under, and $1/ 1000 impressions of banners. 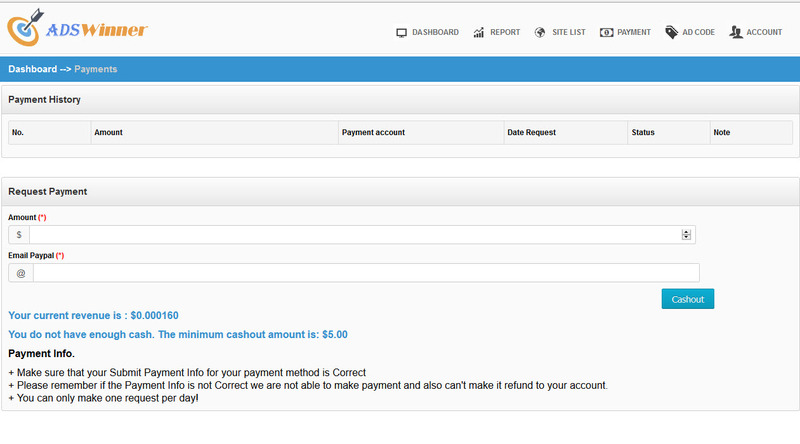 Please check your payment account to make sure that it is completely correct and make a payment request. 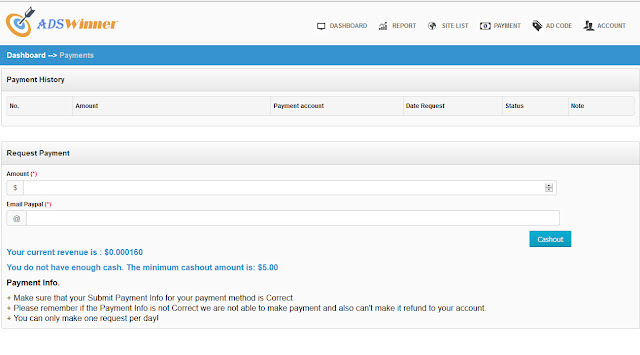 So, we can complete payment most correctly.